"New Jersey Women in World War II" September Book Giveaway ~ The History Girl! 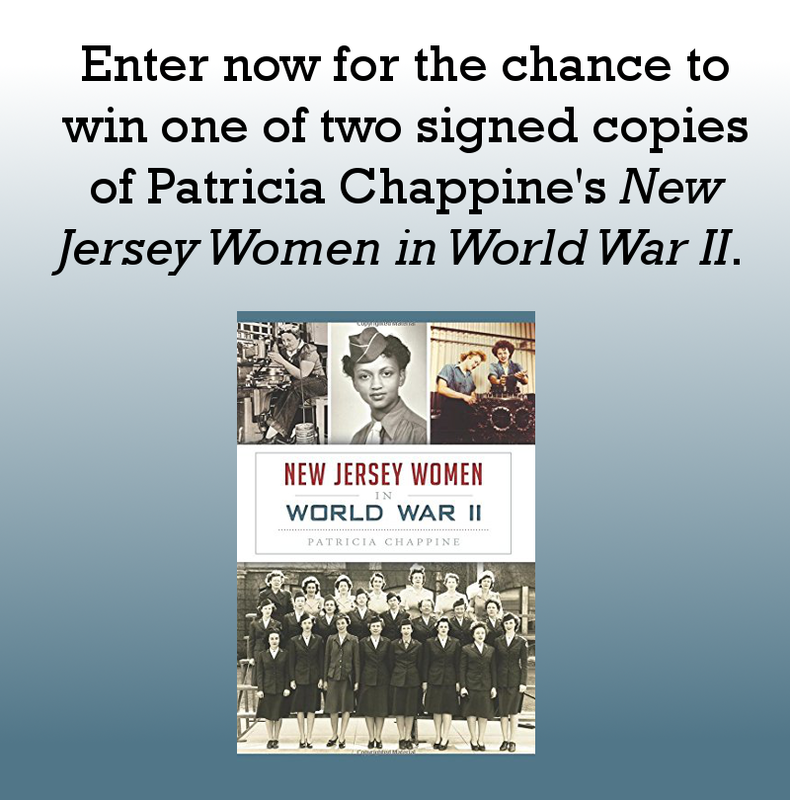 Thanks to author Patricia Chappine, The History Girl is offering two signed copies of her book New Jersey Women in World War II. In order to be in the running, submit your name and e-mail address below! Real-life Rosie the Riveters worked the lines in New Jersey's factories, such as those of General Motors Eastern Aircraft Division, while women on the vulnerable coast enforced blackout orders. Others sold war bonds, planted victory gardens and conserved materials for the war effort. Thousands more served as nurses and in branches of the armed forces like the Women's Army Corps and the U.S. Navy's Women Accepted for Volunteer Emergency Service. African American women fought a double war - one against the nations enemies and another against discrimination. Historian Patricia Chappine explores the pivotal roles that New Jersey women played in World War II. *One entry per person. *Valid for all residents of the 50 United States of America, 13 years of age or older. *Entries without a valid e-mail address are not eligible. *Contest begins September 13, 2015 at 6:00 pm EST and ends September 19, 2015 at 8:00 pm EST. *The winners will be chosen at random. *The winners will be notified via e-mail on September 19, 2015 after 8:00 pm. The winners must respond with a mailing address within thirty-six (36) hours or another winner will be chosen.